The first of this academic year’s “Keep Learning” alumni lecture series entitled “Aggressiveness at the Workplace”took place on October 31st at Irwin Hall. 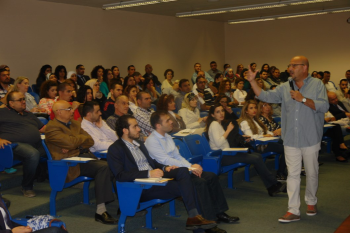 Organized by the Alumni Relations Office, the lecture, given by the university’s the dean of students at the Beirut campus, Raed Mohsen, focused not only on the cause and effects of such behavior but also how to manage and prevent it. Over 160 alumni and friends attended the event at which Mohsen drew intensively from his extensive clinical experience and knowhow.